Franchise consulting and program development for businesses in the Atlanta, GA area. iFranchise Group’s Atlanta, Georgia office specializes in providing strategic individualized solutions for new and existing franchisors in the Atlanta metro area and beyond. Our goal is to help Atlanta business owners achieve specific objectives using their unique strengths. Properly franchising a business requires an understanding of area-specific market challenges, in Atlanta and beyond, to provide a strategically customized solution geared toward achieving your business’ full growth potential. The Atlanta metro area has 5.7 million residents making it the fifth largest population in the United States. 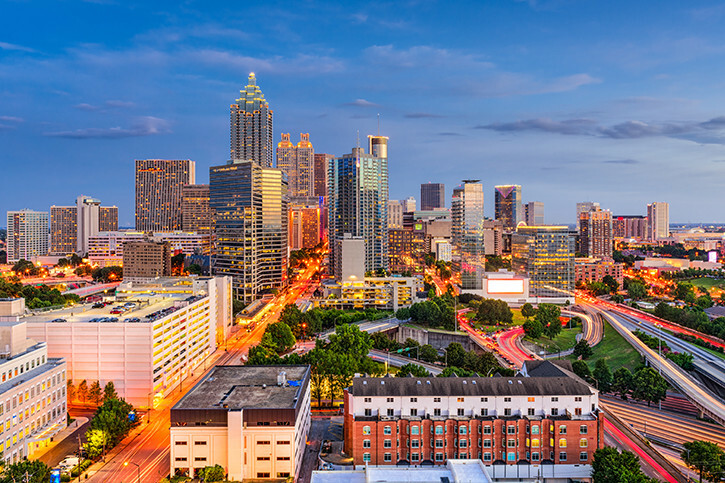 Home to the world headquarters of corporations such as UPS, Coca-Cola, Delta Air Line, Home Depot, and Turner Broadcasting, Atlanta is considered to be a top business city and a primary transportation hub of the ​Southeastern United States. Atlanta also hosts a variety of history museums and attractions, in addition to a number of post-secondary educational institutions. (Source: Forbes.com | Atlanta, GA Profile). Understanding which specific aspects of a local business’ success may play key roles in future growth is crucial to formulating an effective franchise expansion strategy. Most franchisors focus on selling franchises in markets close to home and grow outward in concentric circles when starting a new program. Our franchise consultants have extensive, hands-on experience in franchise development, sales and marketing for Atlanta-based businesses. The iFranchise Group knows how to take the best of your local business regionally, nationally and beyond. By submitting this form I consent to receiving electronic information from iFranchise Group. To opt-out contact us at [email protected] or (905) 405-6276, or click here.